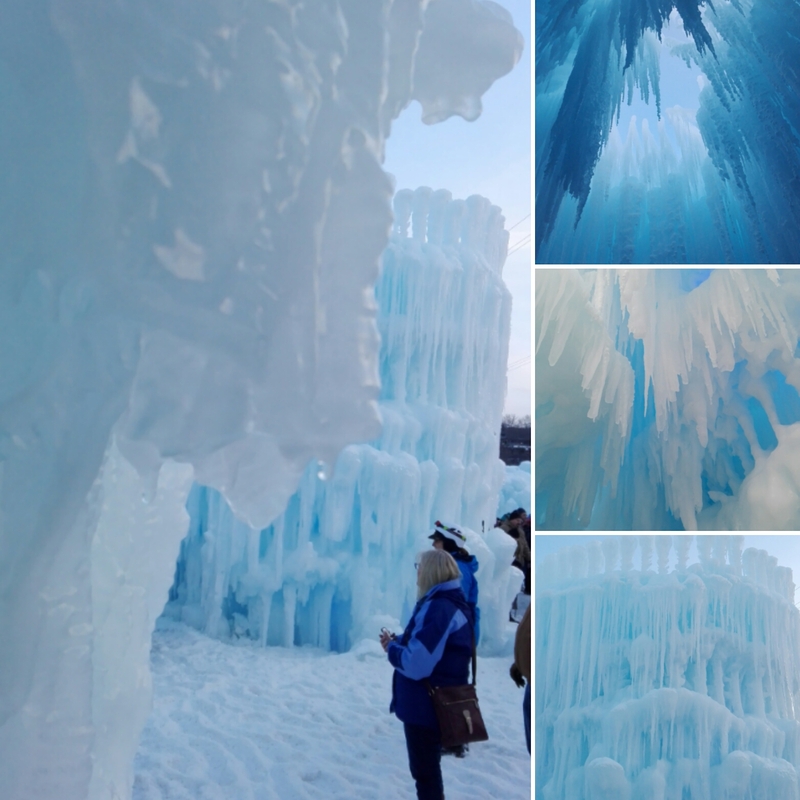 The Ice Castles experience wasn't open for very long in Minnesota this year. Last year we missed out on it because they closed just two days before we were supposed to go. This year they had closed briefly in January because the weather was warm and the castles were melting and they couldn't keep adding more ice to them. Thankfully they reopened and continue to grow the castles and the experiences taller. As soon as I had heard they were reopened I immediately went on to book tickets for us but found that the first weekend they were reopened they had already sold out of every time available. I promptly then looked at the next weekend after and obtained our tickets to go then. We had heard from friends who had went a couple years ago that the best time to go to see the castle both during the daytime and also lit up at night is to go around 5 p.m. so that is exactly what we did. You will see some of the pictures here are colored lights that they have at night and some pictures are obviously taken during daylight. It was an incredible experience and I had some amazing photographs as a result. 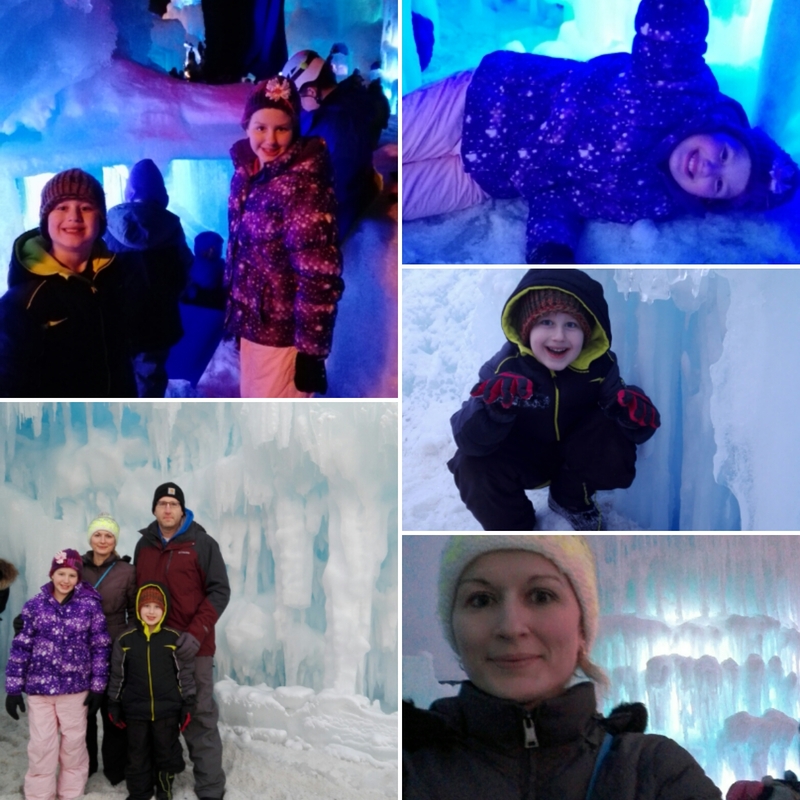 The kids had a fun time and enjoyed going down the big ice slide. There is some entertainment there on the weekends as well. Because my kids are older we didn't care to be there when the Disney Princesses were, but we did arrange our timing to be there when the fire dancers were there. It was quite packed when watching the fire dancers and it was hard to see unless you were right in the front. After a while we just chose to go explore the castle one more time before we left that evening. On your way out they give each person a button if they choose. I know this is an experience that my kids will not forget and I now have a desire to see real life ice castles up north that are created by Mother Nature. 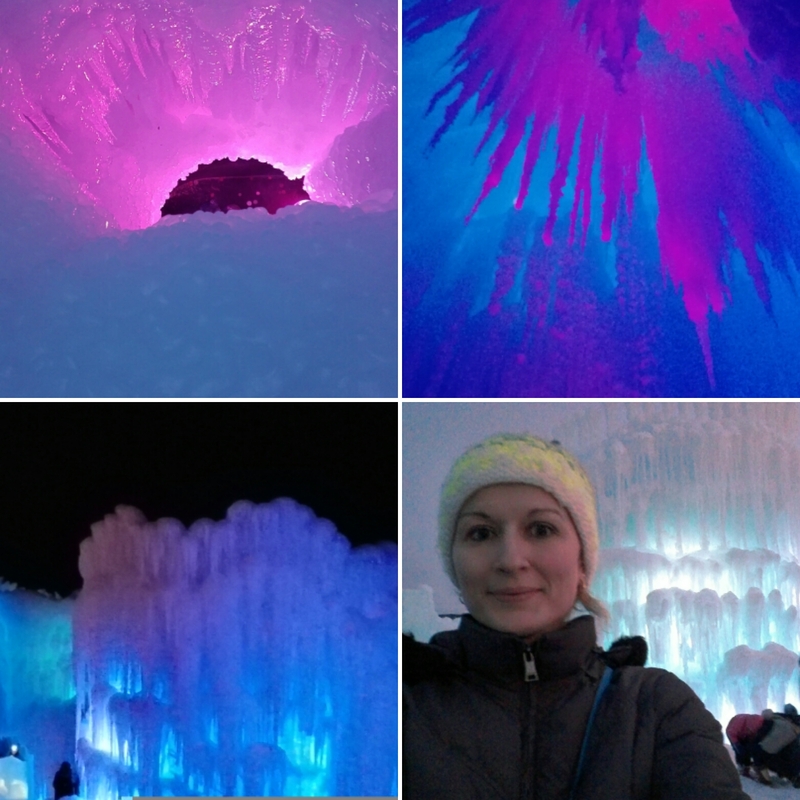 You may be able to still check out Ice Castles in other states, but it was just too warm in Minnesota this winter for it to be here for too long. If anything, add it to your winter bucket list for next winter!